President of Turkmenistan Gurbanguly Berdimuhamedov received Minister of Foreign Affairs of Russian Federation Sergey Lavrov who arrived in Turkmenistan on working visit. During long conversation with President Gurbanguly Berdimuhamedov, I have conveyed warmest greetings and wishes of success in large-scale activity of the Head of Turkmenistan on behalf of President of Russian Federation Vladimir Putin and confirmed that Russian Federation is strictly following all agreement, which has been achieved on a high level including during the visit of Russian Leader to Turkmenistan to Ashgabat more than one year ago. The Agreement on Strategic Partnership between Turkmenistan and Russian Federation, which came into effect, is the foundation of our all plans and activities in various fields – from economic sphere to education, from the dialog on the security issues in the region to Caspian range of problems, which undoubtedly is on the priority level. I would like to mention that Gurbanguly Berdimuhamedov has paid special attention to this subject. It happened here in Ashgabat back in 2002 where negotiation process of the leaders of five Caspian states has started on high level. Last year, this process was completed by the signing of the Convention on Legal Status of Caspian Sea. Other two document initiated by the President of Turkmenistan has been adopted at the same time. I mean the Agreements between the Governments of Caspian States on Trade and Economic cooperation and on Cooperation in Transport. 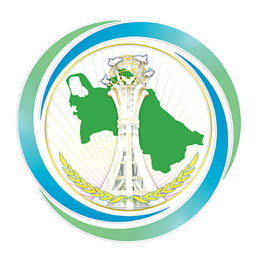 In August this year, Turkmenistan will host Caspian Economic Forum for the first time in history as well as another, the sixth Summit of the Heads of Caspian states. In general, we have good plans for further cooperation including in the humanitarian sphere. Today, the President of Turkmenistan highlighted his full support to our cooperation in the educational sphere. 30,000 Turkmenistan citizens study in Russian universities. It was mentioned that Russian language is studied in many educational facilities of Turkmenistan and A. S. Pushkin Turkmen – Russian Secondary School is the best in the region according to professionals. Humanitarian and cultural subjects will be one of priorities this year under Turkmenistan chairing of the Commonwealth of Independent States. We have many plans and there will be many activities dedicated to the CIS and the cooperation under Caspian five. I hope that regular session of Intergovernmental Russian – Turkmen Commission for economic cooperation will be held in the nearest future. All these plans have been approved by the Presidents of Russia and Turkmenistan and the Foreign Ministries of both countries would coordinate the work of involved departments for all agreements to be fulfilled completely for the sake of our countries and nations. Heads of Intergovernmental Russian – Turkmen Commission for trade and economic cooperation work on bilateral cooperation in oil and gas sphere. During the conversation, the President of Turkmenistan expressed his satisfaction with the solution of gas issues in Russian – Turkmen dialog. These days, the issues are reviewed with the aim at search for new far-reaching agreements.